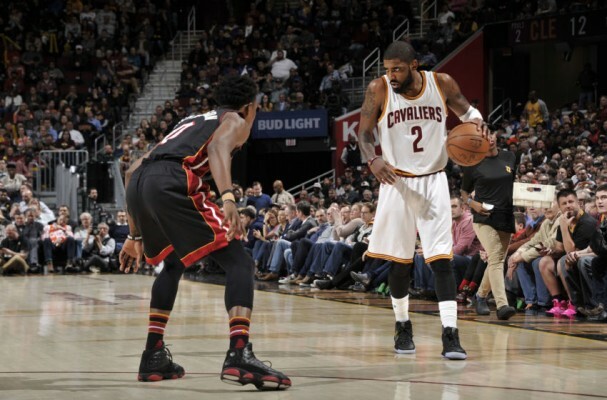 The prospect of the Miami Heat acquiring Kyrie Irving from the Cleveland Cavaliers would be a blockbuster move on the team’s part, with Irving selecting the Heat as one of the four teams that he’d like to be traded to by the Cavaliers. That possibility remains, with one member of the Heat, Justise Winslow, showing his excitement over that potential acquisition. Justise Winslow, when asked by a camper at Heat basketball camp, "I would love to play with Kyrie." The 21-year-old Winslow is 6-foot-7 and plays small forward, while the 25-year-old Irving is 6-foot-3 and would be the Heat’s starting two-guard. Despite those demographic and physical differences, the two share some similarities with respect to their playing careers. Both attended Duke University for one year before entering the NBA draft, where each was a first-round selection by their team: Irving, the first overall pick in 2011 by the Cavs and Winslow, the 10th overall pick by the Heat in 2015. In addition, Irving struggled through some injury-plagued seasons, while Winslow is coming off a season-ending shoulder injury. Ironically, Winslow has been mentioned in some Irving trade scenarios involving the Heat and Cavaliers. However, there’s no indication from the team itself that they plan on offering him in any package or that the Cavaliers want him to be included in any such deal. Should a trade for Irving be worked out, it would reunite him with Heat guard Dion Waiters, who played with the Cavaliers and Irving from 2012 until Jan. 2015, when Waiters was dealt to the Oklahoma City Thunder. Brad Sullivan is a freelance writer for HeatNation.com, having been an avid fan of NBA basketball for more than four decades. During that time, he's watched the Heat evolve from gestation period to expansion team all the way to three-time NBA champions. He'll follow their quest toward again reaching those lofty heights, and do so by offering some perspective along the way. 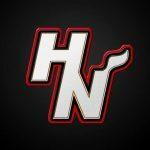 SUBSCRIBE TO GET YOUR DAILY Miami Heat NEWS, RUMORS, AND VIDEOS!